In a report required in the 2014 farm bill, the U.S. Department of Agriculture has said there is "no measurable benefit" to consumers as a result of the mandatory country-of-origin-labeling (COOL) law. The report, completed by a team of agricultural economists from Kansas State University and the University of Missouri, comes just weeks before the World Trade Organization (WTO) is expected to issue its final ruling on the matter. "Based on a review of academic research, we found no evidence that consumer demand for beef or pork has increased because of MCOOL. Thus, our economic analysis finds no measureable benefits to consumers as a result of the MCOOL rules," according to the report. It goes on to say, "This report demonstrates substantial economic damage to producers, packers, retailers, and consumers from implementation of MCOOL in 2009 and losses which further increased with modifications contained in the 2013 rule. There is no evidence of offsetting benefits associated with consumer demand increases from MCOOL implementation. On the contrary, consumers lost because they now face higher retail beef and pork prices and reduced supply because of the 2009 and 2013 MCOOL rules." The study estimated that implementation of the 2009 COOL law resulted in $405 million in economic welfare losses in the first year in the U.S. beef industry. Originally included in the 2002 farm bill, amended in the 2008 farm bill and initially implemented in 2009, COOL has been the focus of a WTO lawsuit for more than five years. Shortly after being implemented, Canada and Mexico established a case against the United States in November 2009. The WTO ruled that certain COOL requirements discriminate against foreign livestock and gave the United States a May 2013 deadline to comply with its findings. The U.S. government responded by revising the law to require covered meat products to detail each production step, including where the animal is born, raised and slaughtered on the label. Canada and Mexico objected to this response, and in October 2014, the WTO ruled once again Canada and Mexico. The United States appealed this ruling, and a final determination by the WTO is expected by May 18. USDA also sent a letter to agricultural leaders in Congress late last week outlining potential options to comply with WTO rules. One option highlighted was a "generic label" for meat products. Under a generic label option, if an animal is born, raised and slaughtered in the United States, Mexico or Canada, or any combination thereof, the product would be labeled as being a product of North America. House Agriculture Committee Chairman Mike Conaway (R-Texas) says such a generic label would not reduce the threat of retaliation. "Our trading partners have already said this option is unacceptable, so it is perplexing that USDA would ignore basic facts and put forward an approach that would only serve to exacerbate the current situation. It is apparent that the Department is void of a workable, trade-compliant solution and producers, consumers and targeted industries deserve a straight-forward response stating as much," said Chairman Conaway. Chairman Conaway also said his committee is prepared to "take the lead on this issue." "In order to avoid what could be devastating retaliatory sanctions against U.S. businesses if we lose, the starting point needs to be that mandatory COOL for meat is a failed experiment which should be repealed," Chairman Conaway added. Whether a legislative fix comes from the House or Senate, the National Cattlemen's Beef Association says Congress should take action sooner rather than later. "This report comes as no surprise, we've maintained that COOL is a failed program that results in discounts to the industry without any corresponding benefit to producers or consumers," said Philip Ellis, NCBA president and Chugwater, Wyoming cattleman. "We fully expect the WTO will find the amended COOL rule in violation of our international trade obligations, once again, and we urge Congress to fix this program before it does further damage to our industry and our $7 billion export market." The National Farmers Union, however, called the report "premature." 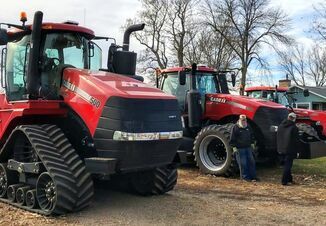 "Congress required USDA to send over a report before the WTO Appellate Body has even decided on COOL's compliance," said NFU President Roger Johnson. "This recent USDA report is premature and Congress should not intervene at this point during the WTO process."